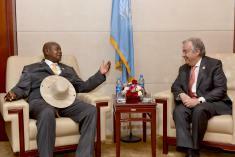 President Yoweri Museveni and the new United Nations Secretary General Antonio Guterres have engaged in a series of discussions ranging from the security situation in Somalia to South Sudan to Burundi and the Democratic Republic of Congo and pledged to strengthen efforts to develop sustainable peace and development in the region. 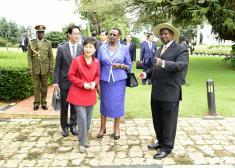 Uganda and South Korea have agreed to bolster their bilateral relations in 10 key areas after both countries signed memoranda of understanding today at State House, Entebbe. 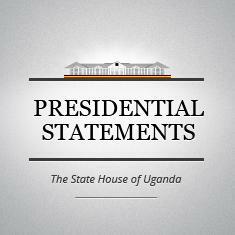 President Yoweri Museveni has appointed Dr. Martin Aliker as the country representative for the Queen Elizabeth Diamond Jubilee Trust Fund in Uganda. Dr. Aliker effectively becomes the Chairperson of the Trust Fund, Uganda Chapter.